Last summer we really wanted to spend time together as a family at a summer Chalet. At the time I was 5 months pregnant, all the talk of Zika made us want to stay close to home. We searched online and couldn’t quite find what we were looking for… until we went to Airbnb. We love using Airbnb. We used it for the first time in 2015 to find a great place to stay in San Francisco, as well as Eugene, Oregon. 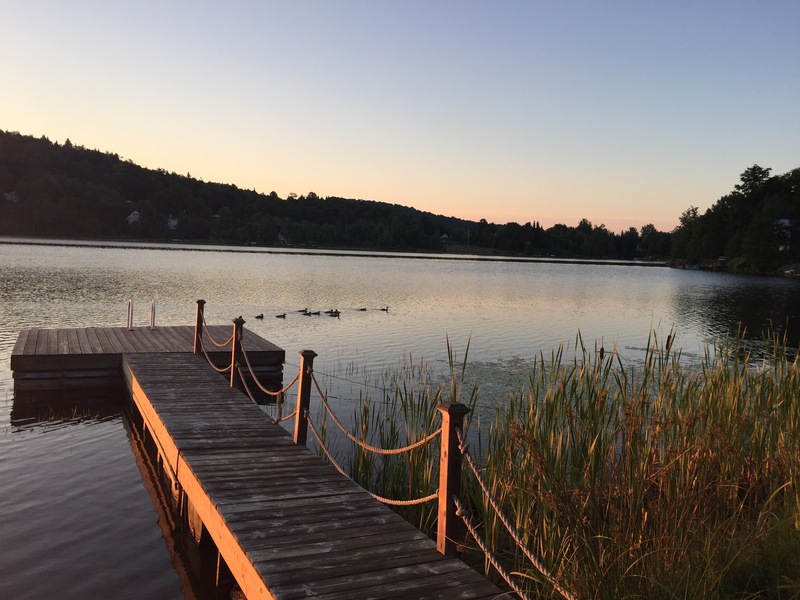 So why not try it to find a summer Chalet in Quebec. What we love about it is as a family with a dog, hotel rooms don’t usually work for us. And with reviews from past guests, photos as well as the communication you have with the hosts, it’s a great option that’s easy to use! 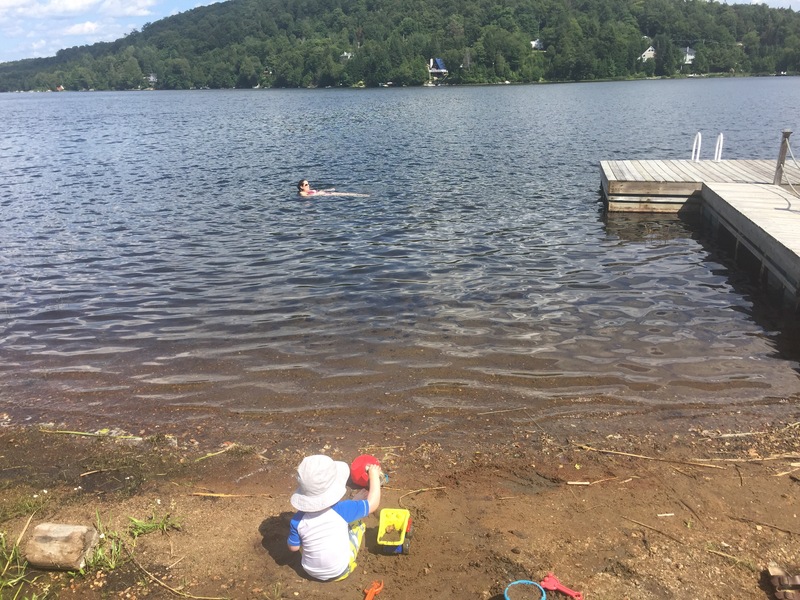 We found a lovely Chalet on Lac du Cœur about an hour north of Montreal. The lake was beautiful and the Chalet was lakefront with a nice little beach which my son truly enjoyed. 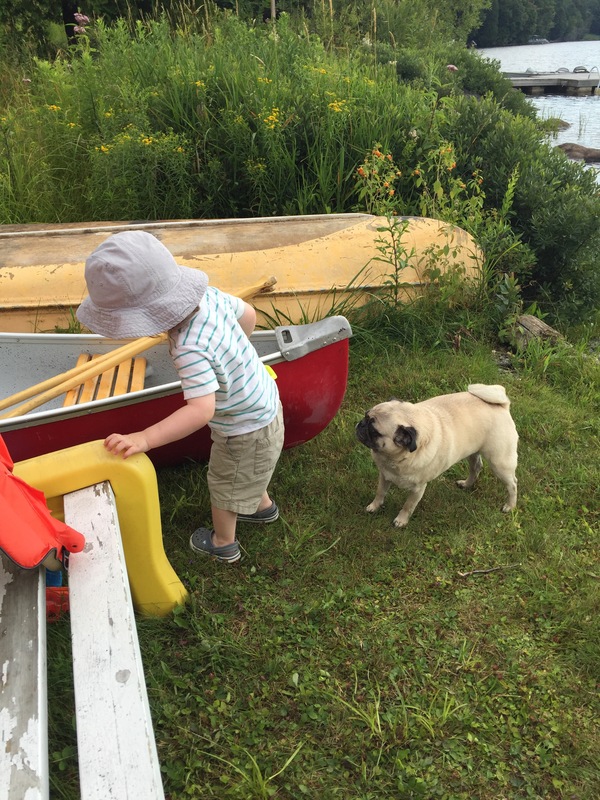 This particular rental also had a canoe – which we didn’t really use but certainly will next time we go back! The rental was super affordable ($100 a night), comfortable, had everything we needed as well as we could bring our dog Gus! Total success in our books! If you’ve never used Airbnb now is the time cause you can get a $50 credit towards your first stay! That’s thanks to the share code I have! So get to booking! I know we are already thinking of our summer vacation! Indoor Play Park – The Montreal Tour!